The New Year brings fresh ideas and renewed energy for decorating our homes. With the Christmas decorations safely packed away we start to see our homes in a new light, re-evaluating the space and looking for new inspiration and ideas. Maybe you have a home renovations to do list already? Maybe you want to make one and don’t know where to start. Whatever point you’re at with your ideas, hopefully this post, looking at the colour trends for 2014 will help you on your way. Every year Pantone, the Colour Institute announces its Colour of the Year. Last year we had Emerald and I looked at how you could incorporate this into your home. 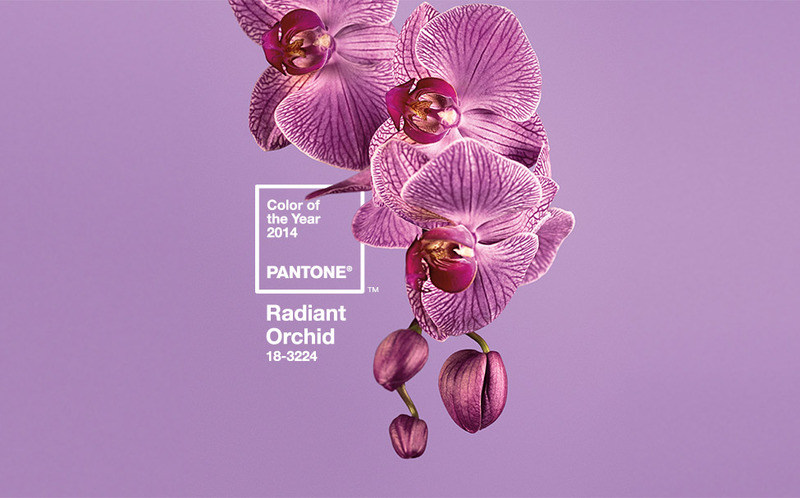 This year, the Pantone Colour of the Year 2014 is Radiant Orchid. The captivating, magical and enchanting Radiant Orchid. 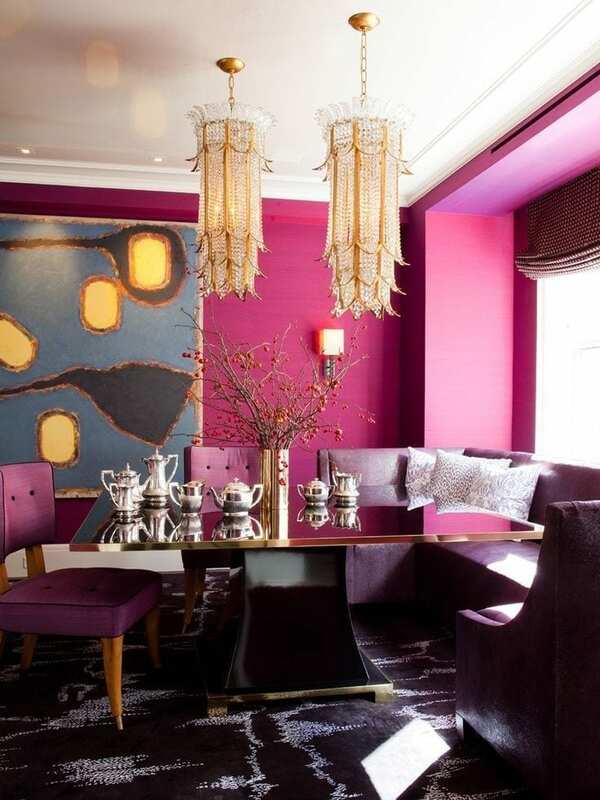 An invitation to innovation, modern and versatile Radiant Orchid encourages creativity and originality. Imbued with a harmony of fuchsia, purple and pink undertones, Radiant Orchid inspires confidence and its rosy undertones emanate great joy, love and health. Or you could really go for it and splash it everywhere! And of course, it’s going to look just gorgeous in the Spring and Summer, particularly when we’re back dining outdoors again. So we know Radiant Orchid and all shades pink, purple and fuchsia are going to be everywhere this year (I’m not too sure how I feel about that at the moment!) but what other colour trends for 2014 can we look forward to? 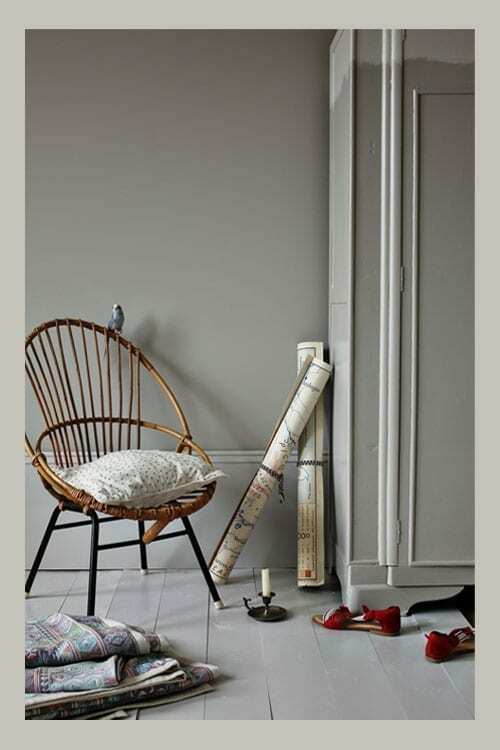 Farrow and Ball have announced their colours for 2014 focusing on the natural and organic that keep us in touch with nature and the outdoors. Apparently we are turning our backs on flat, hard surfaces that reflect our modern lives and want a warmer more comfortable look to our homes. I like their thinking. Purbeck Stone, as in the image below, looks like it’s straight from beach pebbles. Gorgeous. 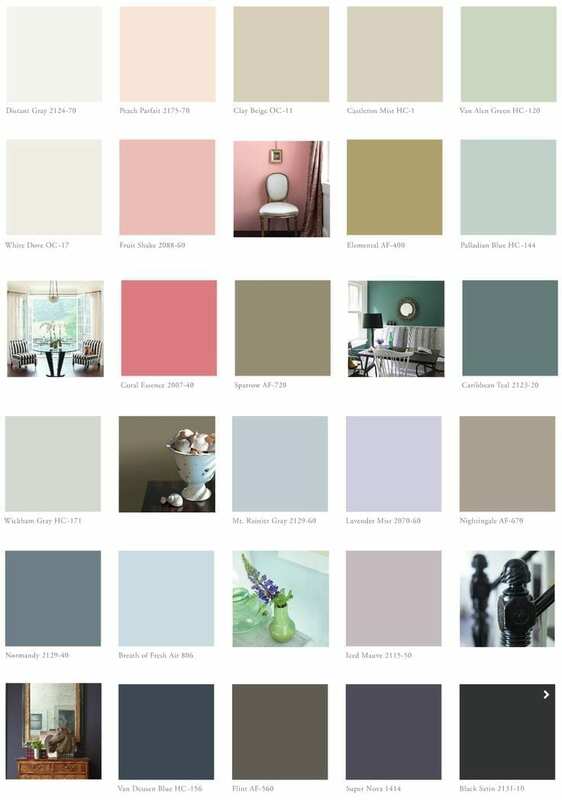 Benjamin Moore has a similar idea with their Colour Palette for 2014 consisting of softer hues and more pastel shades than we’ve maybe seen in recent years. 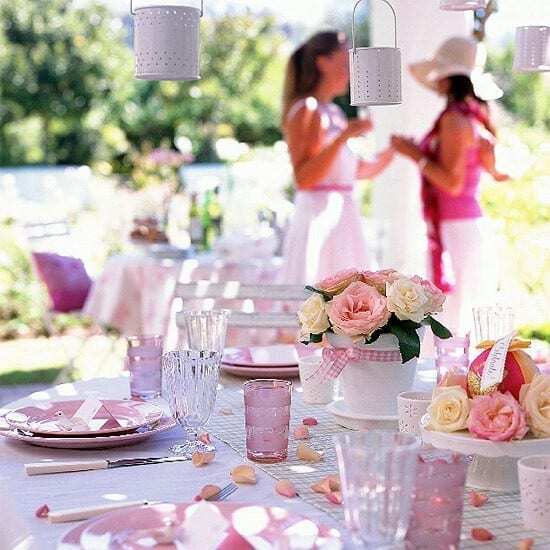 There’s definitely a shift towards a different base colour, but whilst whites and neutrals will never go out of fashion, subtler, softer colours will come to the fore. 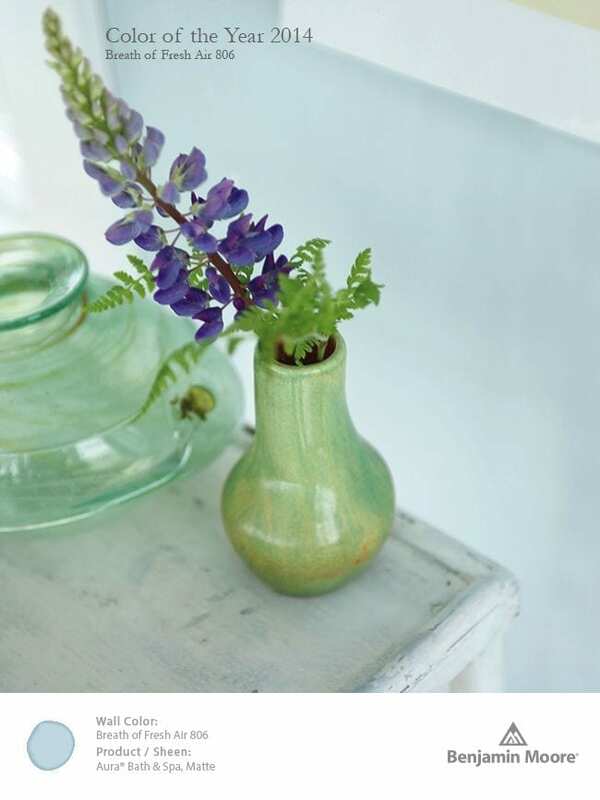 One colour in particular, Breath of Fresh Air is chosen as their Colour of the Year 2014. Whilst not too sweet and sugary, with more of a smattering of grown up blue, I’m sure this is going to be popular. Make way for hints of colour on our walls and a lighter, softer overall effect. So what do you think of these pastel orientated predictions? Can you see them working in your home? Would you use them on your walls or just for accents? Definitely lots to think about here and maybe an idea to put together some suggestions on how to use the colours and adapt your room schemes to incorporate them. Mmm… I’ll get my thinking cap on! Ooh so pretty! I need someone to give our house a colour make over!! Haha, I doubt that Maggie somehow! Oh these are lovely. We are going white because we are trying to sell. I need a few splashes of colour but I’m rubbish with plants so don’t think an orchid would work. It’s beautiful though. I love bright colours, although I tend to stick to accents rather than entire walls, and team with a pastel colour like the ones above. I love the radiant orchid for a splash of colour although I’m not sure it would work in my house. Maybe I will try it outside – a great suggestion. I’m not sure it’s a colour I’ll use much either Trish but it will look gorgeous outdoors in the summer. New Year always inspires home renovations – time to plan! Oooh lots of food for thought here thanks Jen. I have a family room (garage conversion), kitchen and bathroom makeovers to plan this year! Best crack on with it. Wow, that’s a lot of DIY! 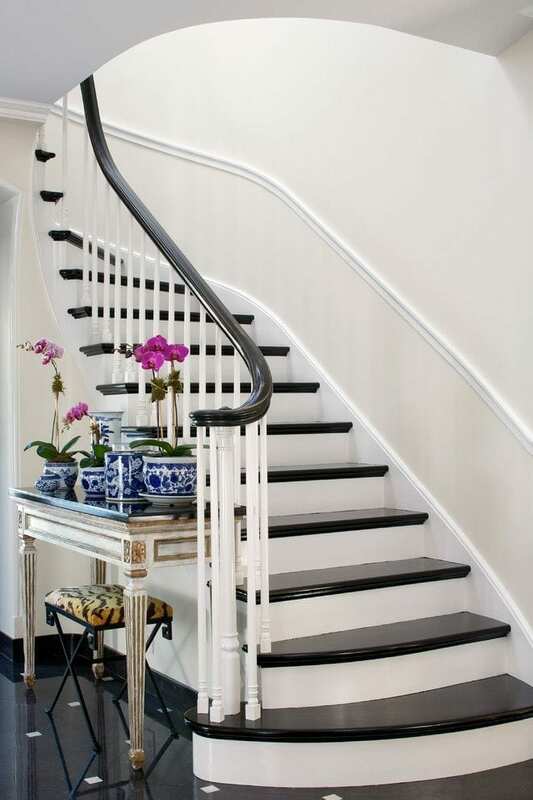 Gosh I love that staircase! It reminds me of a very glamorous piano! I am not terribly brave with colour but we need to re-damp course the house soon which will mean a whole load of decorating. Maybe I will find some courage this year! What’s the worst that can happen? Maybe start with some colour accents? what a delightful colour palette, I may just take some advice for the new bathroom – after some interesting tiles, you’ve inspired me! I love accents, they can totally change a room and I usually love strong colours but I do like the Farrow and Ball pastels. That blue is the one I’ve been waiting for – it’s absolutely my favourite colour. Love the orchid (accents only I think because it would hard to live with for a long time)and the grey is a great base to play with. I thought sage green was all the rage this year, but that’s why you’re a lifestyle blogger and I’m not! To be honest Anya, I think it depends where you look! I am a convert to the power of white with colour used as an accent tone! The breath of fresh air is lovely. It’s really…well…fresh!